satisfied with the products and service you receive from FPE Automation. Did you know? FPE Automation is family-owned and operated. We've been in business since 1963 - that's over 50 years, and growing stronger every day! The people who work here are exceptional. They're talented, smart, creative... but most importantly, they really do care. Please take a moment and let us know how we are doing. Click here to answer a single question about us. 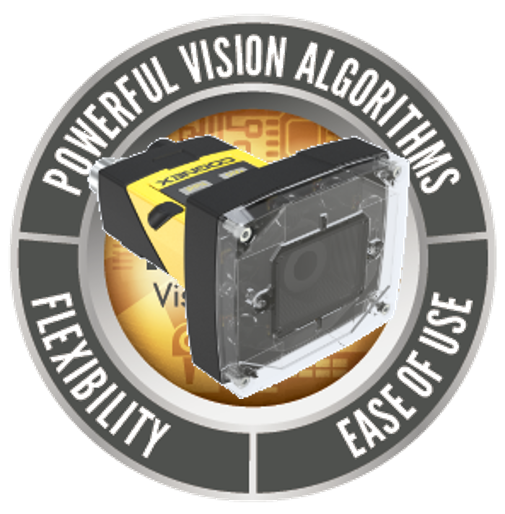 Cognex is pleased to announce the release of the In-Sight 2000 Series vision sensors and In-Sight Explorer 5.2.1 software. The In-Sight 2000 combines the power of an In-Sight vision systems with the simplicity and affordability of a vision sensor. Setting a new standard for value, ease-of-use and flexibility, In-Sight 2000 series vision sensors are ideal for simple error-proofing applications needing only pass/fail output. Modular design includes field interchangeable lenses, lighting and filters, and user-configurable in-line and right-angle mounting orientation. Integrated high performance diffuse ring light (patent pending) and 8mm lens - ready out-of-the box! Configure simple presence/absence inspection applications in only minutes with the intuitive, point-and-click EasyBuilder® setup interface. In-Sight Explorer is the world's most widely used machine vision software. Configure and maintain both simple and complex vision applications in one environment. 2000-130, 2000-120 and 2000-110. See above table for details. Ring Light Cover. Replacement for lost or damaged cover. Filters. Available filters: Red Band Pass (635nm) and IR (850nm). Polarized Ring Light Cover also available. Ethernet Cables. X-Coded M12-to-RJ45 connectors. Available in 2M, 5M, 10M, and 15M lengths. Ethernet Cable Adapter. X-Coded to A-Coded connectors. Power and I/O Cables. M12-to-flying Lead. Available in 5M, 10M and 15M lengths. Power Supply. Cognex 24 Volt DC Supply, DIN-rail mountable. Power Cords. For use with ACC-24I. Cords available for US, Japan, UK and Europe. Brackets. Available mounting brackets include a Pivot Mount (APG) and a Universal Mounting Plate. Adapters. Available mounting adapters include the Flat Plate Adapter and the DataMan Tripod Adapter Plate. For pricing and ordering contact FPE Automation. Note that In-Sight Explorer 5.2.1 does not include any new firmware features for In-Sight vision systems. The In-Sight 2000 and accessories are available now for immediate shipment against existing orders. Volume shipments from stock will begin on February 15, at which time standard lead times will apply for new orders. In the meantime, contact your Cognex Sales Engineer if you need assistance in prioritizing urgent customer orders. Many In-Sight 2000 resources are available, and we will continue to add more over the coming weeks, including promotional videos and a library of application examples. Customers can go to http://www.cognex.com/programs/in-sight-2000-vision-sensor/ to learn about the In-Sight 2000 and to download the product data sheet. Cognex partners can access several In-Sight 2000 resources on the Partner Portal under Marketing > Product Launch > In-Sight 2000 and under Marketing > Promotional Materials > Sensor Sales. Technical documentation resources include the In-Sight® 2000 Vision Sensor Reference Guide (.pdf) and the In-Sight EasyBuilder Help file, both of which are installed with In-Sight Explorer 5.2.1. Swivellink has intelligently designed mounts for virtually all the leading manufacturers' products. Just click the image above to visit the Swivellink website and select "Brand Match" at the top of the page to get started. Need more information and/or pricing? Contact FPE Automation. We're looking for an experienced Partner Sensor Sales Engineer who is as awesome as FPE Automation! The Partner Sensor Sales Engineer grows overall partner ID & Sensor business by driving growth through the identification, development, and closing of ID & Sensor business opportunities. This person owns the total ID & Sensor quota for the Partner. • 3-5 years sales experience in factory automation in a high growth company with proven success and experience with hands-on product demonstrations. • Requires B.S. degree, preferably in Electrical or Mechanical Engineering, or equivalent occupational experience. Piab is introducing a complement to its range of Value Line® vacuum ejectors. The new aluminum block mounted ejector is dimensioned to emulate a popular ejector format, making it easy to install into many existing systems. Offering improved performance and more energy-efficient operation, the ejector is a cost-effective and easy-to-install alternative for operators of basic automated vacuum systems. The Value Line® products offer to a new market what Piab has been delivering to its high-end customers for over 60 years – expertise, innovation, and global, uniform delivery and service. Today, the company serves both ends of the market with its advanced and specialized ejector technology solutions, and its range of more basic, standard ejector products.